Tap symbols for info. Tap for Full-Screen. This map shows accommodation for Tignes. To locate Hotels and Chalets elsewhere, tap a marker or select a link from the menu to switch maps. Hundreds of Hotels, Apartments, Chalets, Accommodations and Residences. Situated in Tignes in the Rhône-Alps region with Brévières Ski Lift and Marais Ski Lift nearby, Chalet Monte Bianco features accommodation with access to a hot tub. Complimentary WiFi is offered. This hotel is located in the heart of Val Claret, near the Espace Killy ski slopes in the Vanoise National Park. It offers an indoor pool and a spa centre. The luxury suites have bathrooms with rain showers and spa baths. Set in the hamlet of Les Almes, this hotel is located at the foot of the ski slopes, in Tignes Ski Resort, in the prestigious Espace Killy resort. It offers a heated indoor pool, spa facilities and suites with a private balcony. Featuring mountain views, Apartment Le Curling B.35 is situated in Tignes, around 300 metres from Tufs Ski Lift. Guests staying at this apartment have access to a fully equipped kitchen. The apartment consists of 1 bathroom and a living room. Step through the door of the Hotel Campanules and enjoy your stay in this charming traditional family hotel since its creation in 1958. Important Information Please note that the restaurant closes during the summer season. Located in Le Val Claret, 50 meters from Curling Place, Résidence Le Jhana offers large apartments with a private balcony. Important Information A security deposit of EUR 400 is required upon arrival for incidentals. Located in Tignes, just a short walk to the chair lift, Residence CGH Kalinda offers self-catering apartments with balconies. Free WiFi is offered throughout each of the properties. Opposite the Espace Killy Chairlift, La Ferme du Val Claret consists of 2 semi-detached chalets. It offers free WiFi access and apartments with a private balcony. Important Information A security deposit of EUR 400 is required upon arrival for incidentals. Le Télémark is located in the heart of Tignes. It offers traditional chalet-style accommodation with a spa and indoor pool. The heated apartments include free Wi-Fi access and Satellite TV. Set a 4-minute walk from Tufs Ski Lift, Apt Le Grand Tichot is located in Val Claret, 2 km from Tignes. This apartment is 500 metres from Tichot Ski Lift and has easy access to Espace Killy ski resort. This hotel is located in the centre of Val Claret close to the ski area, Espace Killy. It offers a spa centre, featuring a sauna, a hammam and a hot tub. With views of the Grande Motte glacier, Hotel Le Ski d’Or offers luxury and comfortable rooms. With a terrace and a shared lounge, The Retreat is located in Tignes and features free WiFi. A balcony with mountain views is offered in each unit. The chalet offers a continental or buffet breakfast. For details of Winter Sports, including Snowboarding and Skiing in Tignes, see also :- Tignes, Ski Chalets, Snow Forecast, Snow Report, Ski Holidays, Ski Hire, Airport Transfers, Car Hire and France. Apartment 2 pièces + balcon exposé sud refait à neuf, situé dans le quartier du borsat au val claret au pied des pistes. Hotels in other Ski Areas within Espace Killy. 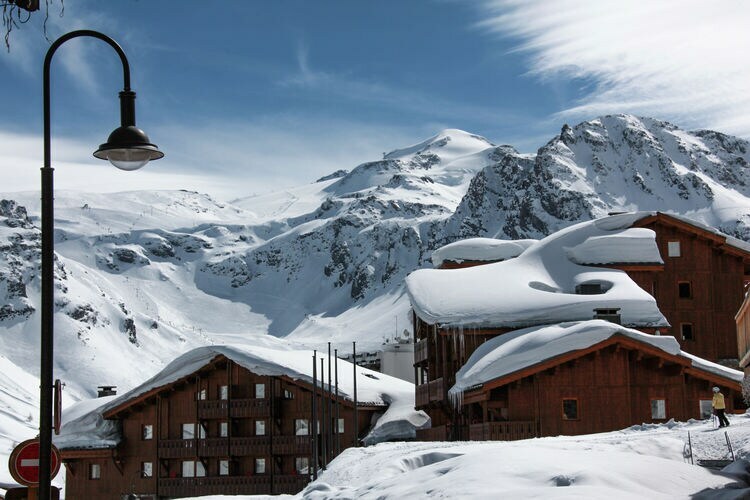 Hotels in other popular Ski Areas near Tignes. Ski Hire Shops in Tignes, Tignes Le Lac, Tignes Les Boisses, Tignes Les Brévières and Tignes Val Claret. Piste and Lift Stats for Tignes, France. For current snow conditions, see our Tignes Snow Report. Note :- Ski Hotel deals to Tignes are subject to change until booked. You must check any particular requirements directly with the Operator at the time of booking. Warning :- Snow Sports are Dangerous! Skiing, snowboarding and all winter sports involve risk of serious injury or death. You MUST confirm all information, especially snow and weather conditions, in Tignes before you ski or board. You participate at your own risk.